Yamaha YDP141 Digital Piano. 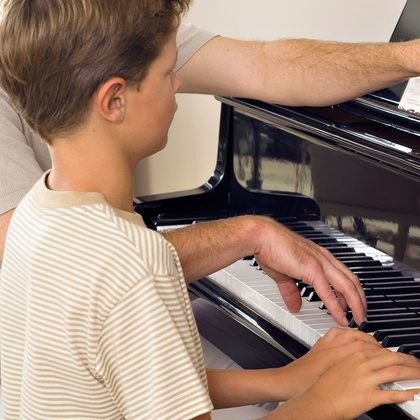 Piano lessons Derby review a Yamaha made digital piano which certainly ticks all the right boxes, the perfect choice for beginners embarking upon Piano lessons as well as the seasoned Pianist. Welcome to the Yamaha YDP141 Digital Piano. 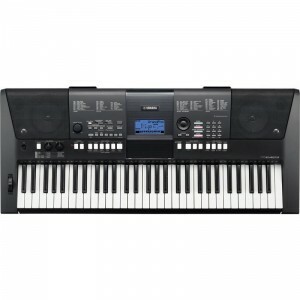 Yamaha YDP 141 Digital Piano provides true piano sound and feel. The Graded Hammer Standard keyboard of the YDP 141 make it a true joy to play, both in practice and in performance. The 3-level AWM Dynamic Stereo Sampling Voices deliver remarkably authentic sound to the Yamaha YDP 141 Digital Piano. Moreover, the damper pedal includes a half-damper effect, giving you nuanced expressive control over the sustained sound. Dual Voice capability lets you play two different instrument sounds at the same time, while a 2-track song recorder allows you to capture your original musical ideas and performances. Just as you’d expect with a traditional acoustic piano, lower notes on a GHS keyboard have a heavier touch, while the higher ones are more responsive to lighter playing. 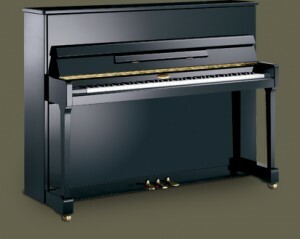 The matte finish of the black keys enhances the Yamaha YDP141 Digital Piano luxurious appearance. Select the hard, medium or soft setting on your Yamaha YDP141 Digital Piano to match your playing style or finger strength. Turn off sensitivity for a fixed response setting, ideal when playing the organ. Conventional digital pianos quickly run out of notes during fast, dense legato passages: sustained notes are cut off as the instrument “steals” notes to make room for new notes. A maximum of 64 notes can be played at once. Not so with the Yamaha YDP 141 Digital Piano! It allows the sustain length to vary “step-by-step” depending on how far the pedal is pressed. The farther you press the pedal, the more the sound sustains. The built-in, 2-track performance memory allows you to record a backing track, and then step into the spotlight and solo over it. Best of all, you can change tempo or Voices even after you`ve recorded your performance. There`s also a built-in metronome to help you stay in perfect time. 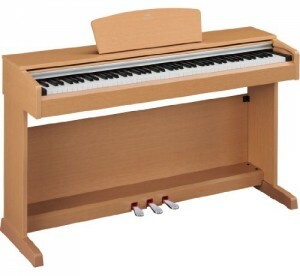 At time of writing the Yamaha YDP 141 retail price is £776.00. ©2012 Piano Lessons Derby – Piano Tuition for Children and Adults in Derby. Tel: 07428 440004. Piano Lessons Derby review of the Yamaha PSR E423 Portable electronic keyboard. The Yamaha PSR E423 offers several innovative features. The basic features for learning to play — like the Yamaha Portable Grand and Yamaha Education Suite — and features for when it’s time to perform, like synthesizer Control Knobs for real-time control of filter, effects, sound envelope and Style tempo. The Yamaha PSR E423 Portable Keyboard Arpeggiator provides an expanded 150 different patterns and 40 arpeggio Voices. These Yamaha PSR E423 Portable Keyboard easy-to-use professional features, along with its new black body, set this keyboard apart from others in its class. The Yamaha PSR E423 is just great for those of you who are looking for a well specified quality keyboard suitable for taking keyboard lesons! Most of the features of the PSR-E423 have been enhanced over its predecessor. Two control knobs provide real-time control for filtering the main melody tone, and changing the tempo of the arpeggio just like an analog synthesizer. The Yamaha PSR E423 Portable Keyboard Pitch Bend wheel brings Voices like the Sax and Trumpet to life. Tap into instant inspiration with the Arpeggio function which has been improved for smoother playability. New hold mode and allocated key-range will free your hands for playing with both hands. It provides an expanded150 patterns that automatically generate even more useful phrases that change depending on the notes and chords you play. Dynamic Voices usually found on high-end workstations, are now on the new Yamaha PSR E423 Portable Keyboard. There are two different waveforms that change depending on how hard you play the keyboard, this allows more expression on Voices such as overdriven or nylon guitar. High quality Voices, from acoustic instruments to electric sounds, have been expanded to 700 varieties. All of these high-quality Voices sound better through 2-way speakers. Wider World Content and 174 Varieties of Styles with Auto-backing Mode. Yamaha PSR E423 Portable Keyboard features Auto-backing Mode Arabic, Indian and Chinese content has been added to Styles, Rhythm and Voices. With our high-quality Styles and Voices, you’ll sound like you have a professional backing band behind you. 4 times more flash memory has been added to the PSR-E423 so you can play along with your favorites transferred from a PC. At time of writing this review the Yamaha PSR E423 costs £291.00 which really isn’t a lot of money to pay for a well spec’d keyboard featuring some really magnificent voices. I know i’ve mentioned this before; but it’s worth remembering ten years ago you would have paid £700+ for a Yamaha keyboard with similar specification. I think the Yamaha PSR E423 is amazing value for money. If you’re considering learning to play ‘properly’ – I mean, taking keyboard lessons; This is the right keyboard for you! Visit your local Yamaha keyboard dealer to get a full up-close demonstration. 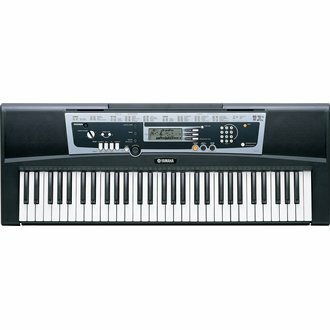 ©2012 – Piano Lessons Derby review of the Yamaha PSR E423 portable electronic Keyboard. Roland FP-7F Digital Piano. Piano lessons Derby Review Roland FP-7F Digital Piano. An independant review of the Roland FP-7F Digital Piano which begins with a look into what makes this Roland digital stage Piano different from similar specification digital Pianos in it’s class. Roland introduces the Roland FP-7F Digital Piano, the latest addition to its popular FP series piano line-up. The FP series has a portable, stylish design with onboard speakers at an affordable price. The new Roland FP-7F Digital Pianoadds four major new features: Roland’s SuperNATURAL Piano sound engine, an all-new PHA III Ivory Feel-S keyboard with escapement, a vocal mic input with companion Harmony effects, and an onboard looper. The new FP-7F now includes Roland’s SuperNATURAL Piano engine. This breakthrough technology creates the ultimate piano playing experience, delivering seamless variations in tone from pianissimo to fortissimo, notes that fade naturally without looping, and three-dimensional sound and response. 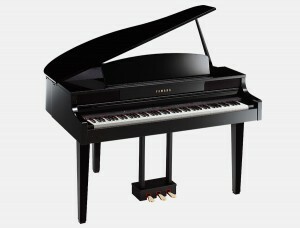 The Roland FP-7F Digital Piano also features Roland’s newly developed PHA III Ivory Feel-S Keyboard with escapement. Offering progressive hammer action with an escapement mechanism, this new keyboard gives players unmatched expression and performance authenticity. Additionally, every key is constructed of a special proprietary material that provides excellent moisture absorbency, with the white keys replicating the unique appearance and comfortable feel of real ivory keys. For sing-along fun, the Roland FP-7F Digital Piano provides a built-in microphone input, and the powerful onboard Harmony engine lets users add duet, trio, and quartet harmonies to their own voice with effects derived from the BOSS VE-20 Vocal Processor. To create the harmony voices, the Harmony engine automatically detects the chords the user plays on the keyboard in real time. Also onboard the Roland FP-7F Digital Piano is a looper that lets a player record and play back their performance as a continuous audio loop. This is great for creating play-along backing, and unlimited overdubs can be added as well. Users can record the sounds of the FP-7F itself (including rhythm patterns from its large built-in library) and from a connected vocal microphone. In addition, loops can be saved as WAV files to USB flash media and used with the FP-7F’s USB Audio Key playback feature. The FP-7F is available in black (FP-7F-BK) or white (FP-7F-WH) finishes, and comes standard with a DP-10 Damper Pedal. Options include the matching KSC-44 stand and the RPU-3 Triple Pedal Unit. The RPU-3 offers a true grand piano-playing experience with three foot pedals, as well as advanced control of the FP-7F’s Harmony and Looper features. The Roland FP-7F has some truly groundbreaking features which sets it aside from similar price digital Pianos in as much as the Roland FP-7F features Roland’s SuperNatural sound engine which re-creates the behaviour and the characteristics of how the instrument plays. Supernatural makes playing a digital piano feel organic and dynamic. For the first time the technology is all about the player. Multi Sampling – SuperNATURAL pianos are equipped with technology, which was born by bringing together Roland V-Piano technology and 88-key stereo multi-sampling technology. This new sound engine is the product of Roland’s deep research of the characteristics of acoustic pianos, with the goal of faithfully reproducing the rich tone and expressivity of a concert grand piano. The maximum polyphony of 128 is more than enough for even the most complex pieces. Natural Decay – The SuperNATURAL piano sound engine replicates the natural decay of a acoustic piano. The natural decay of notes and beautiful lingering tones are important elements of a piano’s sound. The decaying sound of an acoustic piano not only decreases in volume, but also gradually changes in colour to a softer tone. Organic Tonal Change – Using technology only Roland’s digital pianos have, the SuperNATURAL piano sound engine delivers natural and seamless changes in tone colour in response to the player’s touch. Its expanded dynamic range supports the most advanced and subtle techniques, just as one would expect in an acoustic grand piano. For example, there are subtle changes in tone where the damper is barely touching the string. There are also variations in the sustain of a sound when you depress the pedal gradually. The pedals even support the most subtle expression, such as depressing the pedal again after releasing it for an instant. Let’s drill down and take a closer look at the Roland FP-7F specification. Well as you would expect the FP-7F boasts a 88 keys (PHA III Ivory Feel-S Keyboard with Escapement) along with gradable touch sensitivity over 100 levels or fixed touch. Graded hammer response 1-10. There is an impressive 351 tones and 8 drum sets so there’s no shortage of orchestral and synthesizer sounds for even the most creative Pianist. 10 reverb levels including a rotary speaker effect for organ sounds. The Roland FP-7F is a versatile digital Piano which is suited to stage or home use. It’s not cheap by any means but what you get for your money is a digital Piano which stands heads above similar digital Pianos in it’s class. 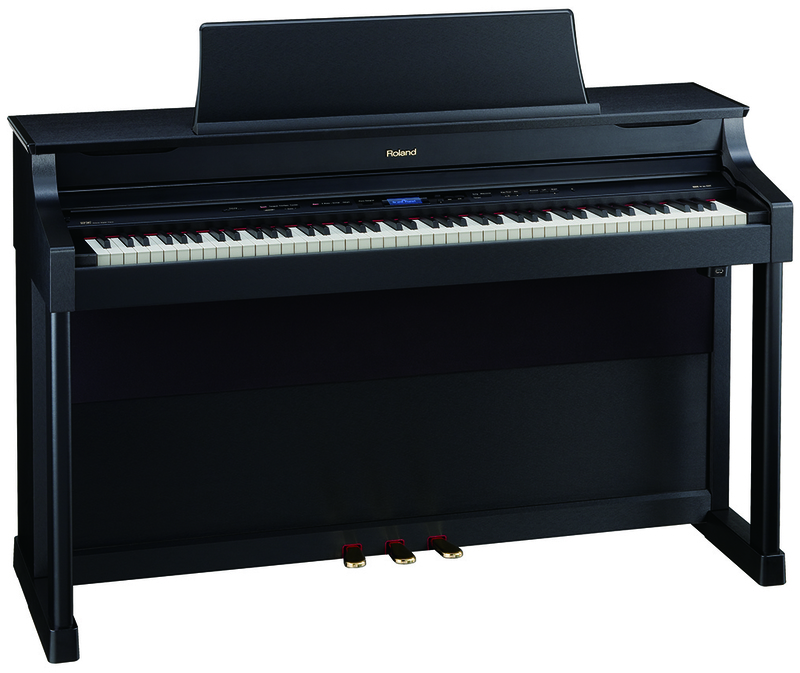 At time of writing this review the Roland FP-7F digital Piano retail price is £1,799.00. For full specification details please click here to visit Roland UK website. Derby Piano Teachers Review Roland FP-7F Digital Piano. ©2012 all rights reserved. Piano Lessons Derby – Review Roland FP-7F Digital Piano. Derby Music Teachers review of the Yamaha PSR E333 portable keyboard for the beginner as well as the accomplished player. The Yamaha PSR E333 has a touch-sensitive 61 notes (5 octaves) full size keyboard making the PSR E333 the ideal choice for keyboard lessons. Let’s first take a look at the benefit of having a touch responsive keyboard. The beauty of having a touch sensitive keyboard means the player can articulate their playing style with expression adding feeling to their music depending on how hard or softly the key is struck. The Yamaha PSR E333 has this great feature which is more commonly found on more expensive portable keyboards. With 497 real sound voices the Yamaha PSR E333 has sufficient scope to cater for most types of music. With a vast array of orchestral, synthesizer, and solo instrument voices the Yamaha PSR E333 is certainly one of the best featured portable keyboards in it’s class. Let’s take a closer look at what else the Yamaha PSR E333 has to offer. The Yamaha PSR E333 has 106 automated accompaniment styles which help turn your music into full band arrangement. With styles ranging from contemporary to hip-hop, house, disco, – to name but few, the Yamaha PSR E333 will have you sounding like an accomplished keyboard player in no time at all. A distinct feature of the Yamaha PSR E333 is the “keys to success” lessons function which I would say is sufficient to get you up and running, – but no substitute for learning to play keyboard properly! I can recommend the Yamaha PSR E333 for many reasons in fact it’s the perfect choice of portable keyboard for taking keyboard lessons. Learning to play this keyboard properly will do justice to both the player and the instrument. At time of writing this article the Yamaha PSR E333 list price is £188.00 which surprisingly is very little money to pay for a high quality portable keyboard with a huge specification. Derby Music Teachers review of the Yamaha PSR E333 Portable keyboard. ©2012 all rights reserved. Roland Digital Piano HP307. A review by Piano Lessons Derby. This flagship digital piano offers the ultimate in piano tone and expressivity The look and sound are pure, natural, and timeless, but inside the wood cabinetry is the most advanced technology on the home-piano market. Roland Digital Piano HP307 takes a giant leap forward with the advent of Roland’s SuperNATURAL Piano sound engine, a breakthrough technology that offers unprecedented sound, response, and feel. The piano tone changes seamlessly and naturally based on touch and key range, with perfectly smooth decay. This digital piano is equipped with a PHA III keyboard, which delivers enhanced expression and superior rapid keystroke performance. The combination of PHA III and SuperNATURAL Piano faithfully translates every nuance into accurate, natural sound. The HP307 is available in 3 colours, the elegant polished ebony finish, traditional rosewood finish, or the cool satin black finish. The innovative Individual Twin Piano feature allows side by side practice or performance. The three-track recorder enables you to record your performance and will also be a great help when practicing right or left hand parts individually. Each of the 88 notes on a grand piano has its own character, due to the fact that the strings are different sizes and lengths, use different materials, and are struck by hammers of different sizes. These differences create variations in the tone colour and resonance of each note. For the new SuperNATURAL Piano sound engine, Roland sampled all 88 notes of a variety of world-class pianos and used its unique digital technology to faithfully reproduce the full, rich tone and expressivity of the world’s finest pianos. Pianos produce differences not only in volume, but also subtle variations in tone colour, depending on how forcefully the key is struck. Using Roland’s latest technology, the SuperNATURAL piano sound engine delivers natural and seamless changes in tone colour in response to the player’s touch. Its expanded dynamic range supports the most advanced and subtle techniques, just as one would expect in an acoustic grand piano. The natural decay of notes and beautiful lingering tones are important elements of a piano’s sound. The decaying sound of an acoustic piano not only decreases in volume, but also gradually changes in colour to a softer tone. The SuperNATURAL piano sound engine replicates this natural decay, just as in an acoustic grand. The Roland HP307 digital Piano is a truly amazing instrument. Sound reproduction is stunning along with an excellent keying action which surpasses many digital Pianos in it’s class. As far as features go, I would say the Roland Digital Piano HP307 is most definitely top of the class! The Roland HP307 digital Piano is a high-end instrument recommended for the serious Pianist. At time of writing the Roland HP307 list price is £2,999.00 however there are better deals to be had if you shop around. If you live in Derby or Derbyshire then I would recommend you go along to Foulds on Irongate and visit their Piano department where you can get a full in-depth demonstration of this top specification digital piano from Roland. Here’s details of the full specification featued on Roland UK website. Derby Piano Teachers review of the Roland Digital Piano HP 307. ©2012 all rights reserved. Yamaha PSRE233 Portable Keyboard. Piano lessons Derby review the Yamaha PSRE233 Portable Keyboard which boasts a full-size 61 note keyboard, 385 voices, – including portable grand piano making the PSR E233 the ideal choice of instrument for keyboard lessons. The Yamaha PSRE233 portable keyboard is packed with 385 voices which range from orchestral to synthesized sounds along with 100 preset automated accompaniment styles to suit most tastes in popular music. To add further style to your performance the Yamaha PSRE233 has reverb, chorus, and ultra-wide stereo effects bringing your music to life. This well featured keyboard from Yamaha is the ideal choice for anyone considering a first purchase. At time of writing the Yamaha PSRE233 list price is £141.00 – which is a modest investment for a beginner keyboard with such a vast specification. In fact, it’s extremely good value for money! There’s so much scope to the Yamaha E233 which is important to new learners, boredom is a million miles away! If you’re a regular visitor to my Piano blog then I’m sure you’ve noticed my leaning towards reviewing mainly Yamaha products, – there’s no coincidence. Without shadow of doubt Yamaha manufacture the best value for money quality portable electronic keyboards, bar none. I have used Yamaha instruments throughout my performing career because they are voiced to suit all popular tastes in music and are ultra reliable and exceptionally good value for money. This is yet another portable keyboard I would definitely recommend to parents who are considering the gamble of buying an electronic keyboard for their child’s keyboard lessons, at a mere £120.00 it’s not too great an investment. Another point worth mentioning is Yamaha keyboards tend to hold their price so if your child decides keyboard lessons is not for them you shouldn’t have too much trouble selling the keyboard to recoup your investment. Finally. The Yamaha PSR E233 portable electronic keyboard get a huge thumbs-up from me! Piano Lessons Derby review of the Yamaha PSR E233 portable keyboard.